According to new guidelines, a third of all adult Americans should consider taking cholesterol-lowering statin drugs. The first such new guidelines in a decade estimated that 33 million Americans – 44% of men and 22% of women – would meet the threshold for taking statins. The new recommendations were issued by two leading US medical organizations, American Heart Association (AHA) and American College of Cardiology. The statins are currently recommended for 15% of adults. The guidelines for the first time take aim at strokes, not just heart attacks. Under the current advice, statins are recommended for those who have total cholesterol over 200 and LDL, or “bad cholesterol”, of over 100. The new recommendations place much less emphasis on setting numerical cholesterol-lowering targets for patients. The advice introduces a new formula for calculating a patient’s risk of heart disease based on such factors as age, gender and race, instead of high cholesterol levels alone. “This guideline represents a departure from previous guidelines because it doesn’t focus on specific target levels of LDL, or bad cholesterol, although the definition of optimal LDL cholesterol has not changed,” Dr. Neil Stone, author of the report, said in a statement. It is thought that more women and African-Americans, who are deemed to be at higher risk of stroke, could find themselves taking statins if they follow the guidelines. The panel focused on four groups they believe statins would benefit most: people already suffering from heart disease; those with LDL levels of 190 or higher because of genetic risk; older adults with type 2 diabetes; and older adults with a 10-year risk of heart disease greater that 7.5%. The panel also recommended a “diet pattern” based on vegetables, fruits and whole grains and moderate to vigorous exercise three to four times a week for all adults. Roughly half of those drafting the guidelines had financial ties to makers of heart drugs. But panel leaders said that no-one with industry connections was allowed to vote on the actual recommendations. “It is practically impossible to find a large group of outside experts in the field who have no relationships to industry,” Dr. George Mensah, of the AHA, told the Associated Press news agency. Dr. George Mensah said the guidelines were based on solid evidence. 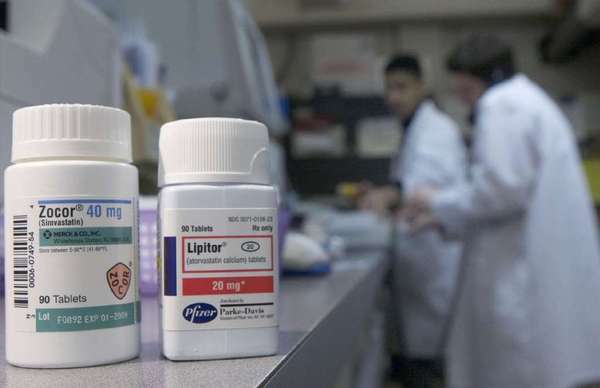 Many of the patents on popular statins, such as Lipitor and Zocor, have expired, with generic versions being offered cheaply. But Crestor, a statin made by AstraZeneca, remains under patent, with sales of $8.3 billion in 2012.